Where is the special prosecutor for Hillary and Barack? Every time I think we have plumbed the depths of stupidity among congressional Republicans, someone comes along to prove that we are so far from the bottom that we can’t even see it. 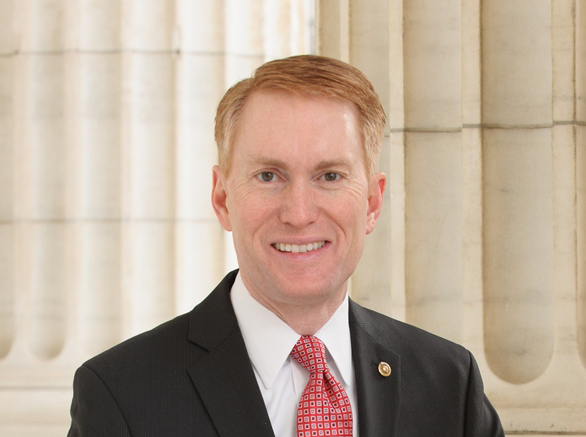 Sen. James Lankford (R-Okla.), supposedly an up-and-coming conservative “star” in the U.S. Senate, proudly announced that the Senate Intelligence Committee had voted to give itself “blanket authority to issue subpoenas” regarding the investigation into Russian election meddling. This means the Democrats have been granted unrestricted license to go after President Trump despite what is obviously a partisan witch hunt. How could Republicans be so stupid? We have just barely survived eight years of unrestrained criminality by Obama, two successive attorneys general –Eric Holder and Loretta Lynch– who turned the Justice Department into an extremist partisan attack machine that stood the rule of law on its head. We also endured the shenanigans of serial criminal co-conspirator, Hillary Clinton, who gave Russia a 20 percent stake in U.S. weapons-grade uranium production and auctioned off her influence as secretary of state to the highest bidder. Unlike the Trump/Russia fantasy, these are not mere allegations. There is proof of their criminality, real proof. Not just hearsay, not just anonymous sources “leaking” documents that no one has seen, and stories whose sources they won’t publicly disclose. Judicial Watch’s Director of Investigations, Chris Farrell, recently posted a YouTube video that describes the unprecedented depth of this documented criminality by the Obama administration as reported on by the website Circa. On October 24, 2016, the government orally apprised the Court of significant non-compliance with the NSA’s minimization procedures involving queries of data acquired under Section 702 [of the Foreign Intelligence Surveillance Act ] using U.S. person identifiers. Since 2011, NSA’s minimization procedures have prohibited use of U.S.-person identifiers to query the results of upstream Internet collections under Section 702. The Oct. 26, 2016 notice informed the court that NSA analysts had been conducting such queries in violation of that prohibition, with much greater frequency than had been previously disclosed to the Court. The ACLU weighed in, but blamed it all on the intelligence agencies without mentioning the Obama administration’s abuses. As noted by Circa, “newly disclosed violations are some of the most serious to ever be documented and strongly call into question the U.S. intelligence community’s ability to police itself and safeguard American’s privacy.” Typical of the Left, the ACLU uses these egregious abuses as an opportunity to discredit the NSA and others. But the ACLU should know it is never the bureaucrats who do this alone. They invariably are taking orders from their political bosses, in this case then President Obama. We should have seen this coming. (Of course some of us did but the political class had its blinders on). Obama was overstepping his authority before he was even elected. In 2008, then presidential candidate Obama interfered with President Bush’s foreign policy by trying to talk Iraqis out of an agreement with Bush to keep U.S. forces in Iraq. 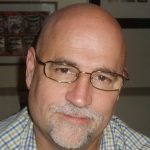 As we now know, it was Obama’s reckless premature pullout from Iraq that returned the nation to anarchy – forcing us now to expend even more blood and treasure to help the Iraqis recapture it from ISIS. And what about Obama’s whispered promise to then-Russian President Dmitri Medvedev that “after my election I have more flexibility.” Flexibility for what? To surrender even more of our missile defense capability? What about that uranium deal? Trump has repeatedly accused Hillary of giving “20 percent of America’s uranium supply to Russia.” Snopes and PolitiFact rate the assertion as false and mostly false. We know both of those organizations skew heavily left, especially Snopes, and go out of their way to protect the Clintons. So is it true or false? It has been widely reported that the Clinton Foundation received $145 million after Hillary Clinton allowed Russia’s nuclear energy agency to purchase a controlling interest in Uranium One, a Canada-based company that mines uranium in states containing 20 percent of U.S. capacity. Snopes and company claim Hillary was not involved in the deal, that it was delegated to then-Assistant Secretary of State Jose Fernandez, and that the State Department is only one of nine agencies on the Committee on Foreign Investment in the United States (CFIUS) that decides such matters. Regardless of who actually sat at the CFIUS table, Clinton is ultimately responsible for such decisions, and do you really think Fernandez would have made such a momentous decision without her blessing? Moreover, would the other agencies dare to vote against Hillary’s agency? Highly doubtful. Hillary apologists also try to disassociate the Clinton Foundation’s string of receipts from Russia as though the two were entirely unrelated. Did they give the Clintons $145 million just for yucks? The New York Times, not exactly a bastion of conservatism, lays it out. So I ask: where is the special prosecutor for Obama, Holder, Lynch and Clinton? And what about all the leaks? Have any of those weak-kneed members of Congress used their substantial authority to compel the FBI and/or intelligence agencies to investigate and uncover the leakers? Unlike the unsubstantiated allegations about Trump, these are federal crimes. If unproven allegations of Trump/Russian collusion in the 2016 elections are worthy of a special prosecutor, are the litany of Hillary’s activities not? These are events that actually occurred, not undocumented accusations by partisan Democrats. Ditto with Obama. If the flimsy allegations against Trump are worthy of a special prosecutor, Obama and Hillary’s crimes merit a treason prosecution. But will we even see a special prosecutor for them? So in tribute to the many GOP imbeciles in Congress, I am starting a hashtag, #STUPIDPARTY. I hope you will use it in tweets to our illustrious Members of Congress and give them holy hell for joining Democrats in their overt effort to destroy this president and bring down his administration. If the GOP keeps this up, we may well see the Democrats’ hoped-for midterm wave election that sweeps Republicans from power.